Hi! And thank you so much for taking the time to read a little bit about me. I live near St. Ives, Cambridgeshire with my husband and young family. My journey to becoming a doula really started when I was a little girl. I had a natural fascination with babies and motherhood right from the start. As soon as I knew a brand new baby had entered our family or social circle, I was desperate to get round there and offer my assistance. I had a natural ability to calm babies even as a child . . . my own mother will tell you what a blessing I was when my youngest brother was born 8 years after me. I worked in the caring profession for 15 years and have looked after a multitude of very different individuals including babies and children, older people, people with learning difficulties and acquired brain injuries, people on the autistic spectrum and people with mental health issues. I’ve learned so much during this time, but I think the most important thing is that no matter who I am caring for, why they need me or what for, I just have to care. It’s as simple as that. Be empathetic, compassionate, loving and supportive, because that’s all any of us really needs, particularly in our most vulnerable moments. I have four children of my own, the first one born in 2008 and the last in 2016 and I suppose it’s my own transition to motherhood that has inspired me to want to support others with theirs . 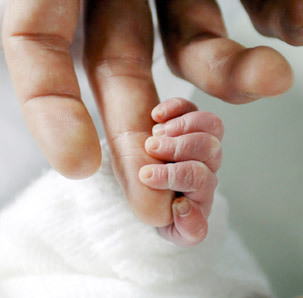 . . though I always loved a birth story even before my own! Before and after becoming a mother, I have been there for many friends as they navigate the maze of information that is pregnancy, childbirth and early parenthood. It’s kind of my trade mark that when anyone I know has a baby, I magically appear in the evening for a few days after the birth to drop off a home cooked dinner for the whole family. So as my very last baby (yes, that’s a definite!) started getting bigger, I began to think about the future and how I could go on to put my passion for supporting new mothers to good use. I did a lot of research and discovered becoming a doula – and all the pieces of my life finally fell into place. I feel I have absolutely found what it is I was put on this earth to do. In 2017 I was so very fortunate to attend the Developing Doulas course. What an experience! I learned the immense value of a non judgemental ear, what a gift it is to be truly listened to and how to give that gift to others and be blessed by their stories. I am so grateful to my doula sisters and know they will be invaluable to me on my journey. We were also taught about how to signpost new parents to the information they need in order to be able to make informed decisions, how to provide comfort measures during labour and teach these methods to birth partners, how to ‘mother the mother’ and were given a working knowledge of infant feeding, baby wearing and baby care. 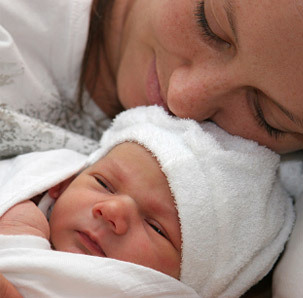 I am passionate about breastfeeding support and love helping new mothers that want to breastfeed, achieve their dream. I’m currently training to be a breastfeeding counsellor with ABM and I volunteer at my local breastfeeding support group. I really believe the key to successful breastfeeding is in antenatal education and postnatal support. Breastfeeding is the only skill in the world that lots of people expect us to just be able to do, without any kind of training in the subject. Largely, we are no longer taught by our mothers, sisters, friends or wider society – we need help to make our passage from woman into breastfeeding mother a beautiful one. There is no greater honour than being asked to accompany a family as they welcome their newest member. 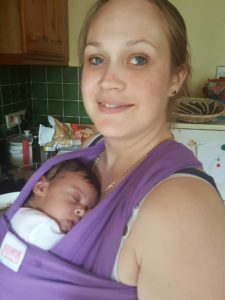 Some women I’ve supported have given birth naturally at home, others have had assisted deliveries in the hospital and some have had caesarean sections. Every one of them would tell you that their birth was a positive experience. 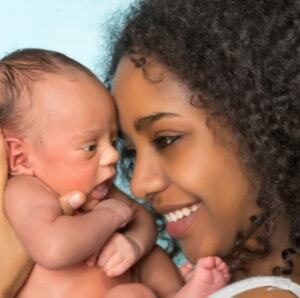 Because a positive birth is not about what happens, it’s about how the individual woman feels. What’s right for one, will not be right for another. It would be my privilege to empower you to make the decisions that are right for you, for your pregnancy, your labour, your birth and your baby. I’d love to walk the path with you, offering you all the practical, emotional and informational support you need in order to make your unique experience one you can look back on with fondness. Feel free to call me any time on 07397969520 or e-mail me on becky.doula.young@gmail.com for a no obligation, informal chat.